Often, when homeowners move to a new area or a new climate, they may not be prepared for what winter can and often will bring. If you live anywhere where there can be snow, there probably will be. It is better to be prepared than to get caught off guard. 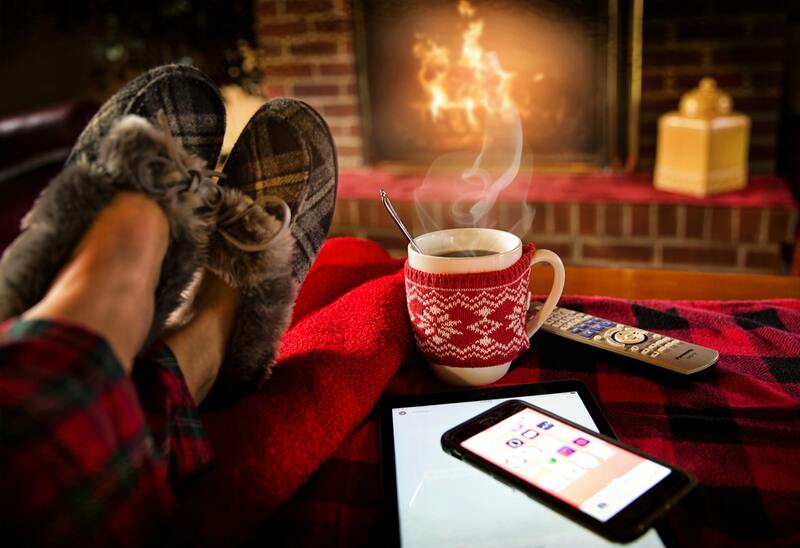 If you are a first-time homeowner, and you have not weathered a winter in your current climate yet, here is a list of the must haves to be prepared for the coming season. Winter is coming, whether we want it to or not. And in some places that means blizzards, and potentially being snowed in for a couple of days. Should you need to batten down the hatches this winter, here are some essentials that you must have. The first thing you need to have is a snow shovel, just in case you have to dig yourself out. Sidewalks and driveways that are rapidly cleared have a chance of staying that way. It’s going to get slick, and it is a good idea to have a deicing compound you can use to clear your sidewalk and driveway of the slick stuff. Small children and elders are especially susceptible to falls when walking on ice, so it’s a good safety measure to keep any residents or visitors from slipping, falling, and possibly being injured. The entryway of your house should be a refuge from the bitterness outside. When you come in the front door, you want to feel warm and secure, you will want a place to remove your shoes and outer layer of clothing so you can keep the moisture and dirt out of the rest of the house. The answer is weatherproof doormats, probably one outside to knock off all the heavy stuff, and one inside to deposit shoes on and a place to hang wet clothing to dry. If the power goes out due to ice or downed tree limbs, You’re going to need light, and a battery powered lantern or two is also not a bad idea. While power outages in winter are not as common as they once were, inclement winter weather can knock out power, potentially for days in some rural areas, and it is best to be prepared. Have a flashlight for each person in your family, and a couple of extras just in case. You need to have some food on hand that you don’t have to heat up to eat and that does not need to be refrigerated or frozen. Canned food is not always the most appealing main course, but if you end up without power for a significant time, it is better than nothing. Canned meats, soups and stews, cereal, and energy bars are all good choices. It may seem silly to mention, but many homes have an electric can opener but no manual one. None of that canned food will do you any good if you can’t get it open. Have one of these on hand in case the power goes out. During winter pipes can freeze, causing the taps not to work. You will want to have enough water on hand to last at least four days. That is one gallon per day, per person. If you don’t have water, you don’t want to waste your water supply on washing dishes. Be sure you have these alternatives in your supplies in case you are stranded by a winter storm. You may want to be able to do two things: get the news and know what time it is. Battery powered radios and clocks, or the combo of the two is a good way to assure that you can do both. There is no guarantee that when the power comes back up, the internet will be up too, so having an alternate source of news and weather just makes sense. You’ll want to be careful with this, unless you have an extra battery or external power pack, as your battery will only last so long, but your cell might be your primary connection with the outside worlds. You will want to let family and friends know you are safe, and you will also want to be able to call if you need help. It’s a good idea to be prepared for almost anything, and while you don’t want anyone to get hurt, the combination of the darkness from lack of power, slick surfaces, and general cold, it can happen. A first aid kit can be the difference in treating an injury right away to prevent further complications. Be sure your kit is well stocked from the last time you used it, and that in contains everything you might need in case of an emergency. Another thing that seems like it should be obvious, but you need to make sure that you have enough warm blankets and clothing for everyone to be comfortable. Since you don’t know how long you might be without heat, you have to assume that the interior temperature of your home will reach the same temperature as it is outside. Besides the humans in your family, you need to be sure that the pets in your family have enough food and water too. Count on a gallon of water for each of them per day as well, and make sure you have food for four days for them as well. Also, think of their comfort with blankets and beds. This is something you think of for your car, but it relates to your home in winter too. If it is exceptionally cold, you may need a way to jump start one or more of your vehicles. You can probably find someone in your neighborhood or even have an extra battery or booster pack on hand. Lastly, if you have a fireplace or a fire pit outside or even a BBQ grill, you need to be sure you have something to burn in it. These can be a great source of heat, but you need firewood to burn, and unless you live in a rural area, it may be difficult to hunt down in your neighborhood. Be prepared and have some wood put away that you don’t touch for any other purpose than emergencies. Grab all of the things on this list, and you will be prepared for the coming winter season. You can hope that you won’t need them, but it never hurts to be prepared for a blizzard.